What was the main reason why the Chicago Blackhawks were able to overcome a 3-1 series deficit against the Detroit Red Wings and advance to the Western Conference Final? 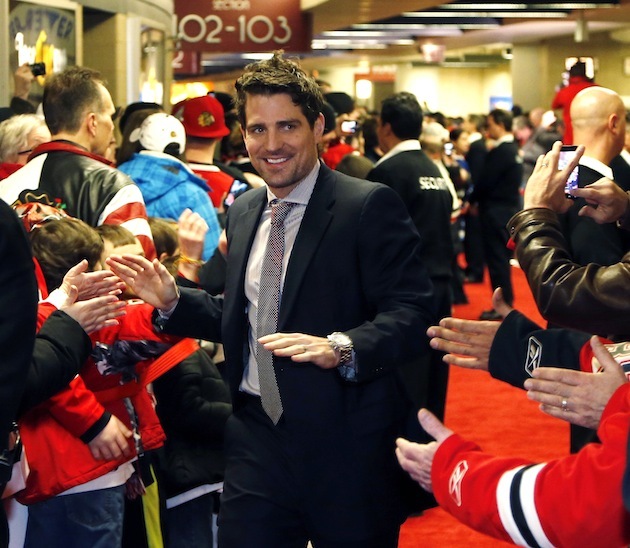 Was it the re-jiggering of lines by head coach Joel Quenneville? Nope. Was it Chicago's depth stepping up when they needed it? Nope. Was it just the sheer desperation? Nope. 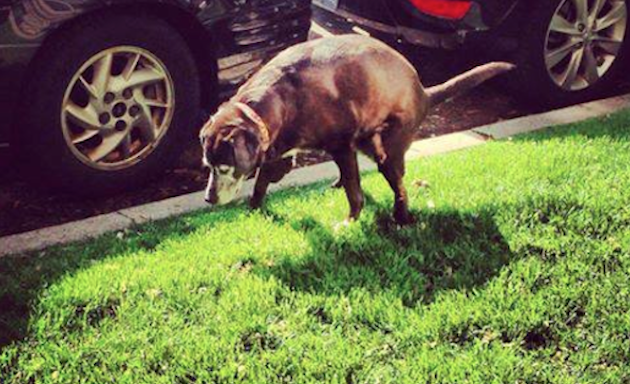 The secret behind the Blackhawks' comeback was simple: Ivy, the pooping dog. You see, Ivy's owner, Shannon, has been taking the lab mix for walks in her neighborhood, which she happens to share with Patrick Sharp. As dogs are known to do while out for a stroll, Ivy has been leaving "presents" on the Sharp family lawn, with the end result coming in the form of a Blackhawks win later that night. "You're looking at Ivy, the Blackhawks good luck charm!! Ever since P Sharp moved into our neighborhood, Ivy has been pooping in his yard and they've been winning. We don't walk by his house everyday but when we do, she almost always takes care of business. The 2 times that she passed it up were followed by Hawks losses. Admittedly, I was a little remiss last week and look what happened... However, Saturday, Sunday and Monday she was 3 for 3 and the Hawks won both games. She has a small following on my FB page...just thought I'd share with you guys as well. Rest assured, I will make sure she's 2 for 2 on the #2 the next 2 days. And yes, I always pick up after her. GO BLACKHAWKS!!" Shannon appeared on the Eric and Kathy show Wednesday morning ahead of Game 7 and told the brave story of Ivy fighting through the Chicago rain, wet grass and dropping one on the lawn of Patrick Sharp. Hockey players play through pain. Ivy braves slick terrain to deliver the goods, for the benefit of her health and the Blackhawks' Stanley Cup hopes. Co-host Eric said he sent Sharp a text wondering if he had heard about what was going on on his front lawn. His reply: "Yeah, I heard about it ... as long as they're picking it up." The Blackhawks are halfway to another Cup. We now fully expect that the residents of Chicago will be dropping off fiber-heavy dog food at Shannon's house from now until when puck drops for Game 1 vs the Kings on Saturday.